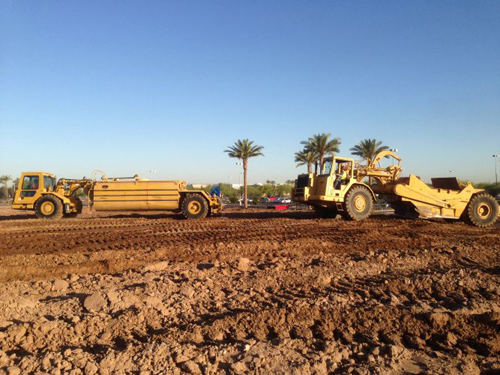 Rikoshea Contracting, Inc., is a family-owned business, based in Phoenix, Arizona, that performs commercial & residential demolition, earthwork, excavations and asphalt paving projects. Our innovative, forward-thinking management team has 125+ years combined experience in contracting, construction, site preparation and more. Our experienced project management team and field staff are capable of completing projects of any size, large or small. We are licensed and insured and have a bonding capacity of $10-15 million for single projects and up to $25 million aggregate. We are committed to building a better foundation for the future by providing excellent workmanship, cost-effective execution of projects, and exceeding the expectations of every client. Our office and field personnel work closely together to communicate effectively and responsively to achieve goals and build long-lasting relationships with our clients. “Here at Johansen Interiors, we pride ourselves on delivering our projects on time to our owners. Too often, people give up and expect customer to accept the final outcome. We look for partners (subcontractors) that understand the importance of doing what they say they are going to do. We have found the Rikoshea Contracting believes in this level of excellence and they have always gone the extra mile to insure our clients’ satisfaction.” – Jeff Johansen, President, Johansen Interiors.